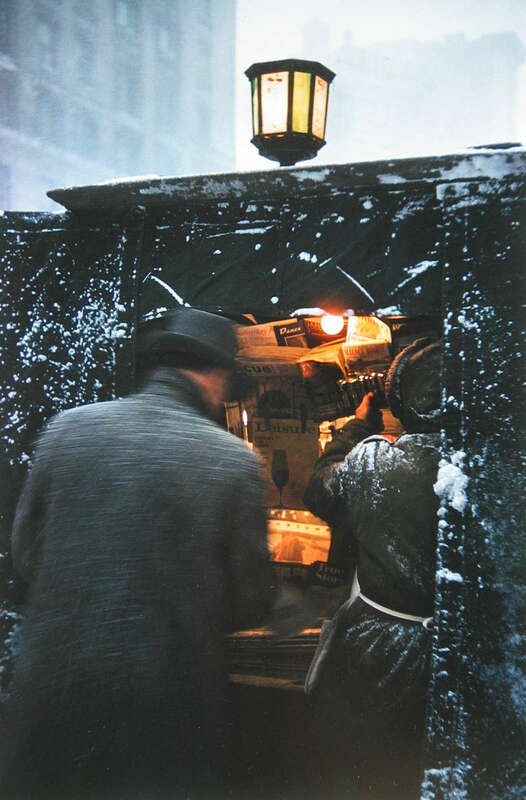 Saul Leiter came to photography through painting in the 1940s, his first camera on loan from Richard Poussette-Dart, renowned abstract painter of the New York School. Beginning with abstract compositions of artfully arranged garbage, Leiter made the street his central focus in his personal work throughout the following decades. Working in black and white, but mostly in color, his compositions retain the disciplined lyricism of the painter’s eye, notably his use of selective focusing and color arrangement. Leiter rose to prominence as a skilled fashion and advertising photographer in the 1950s, working for Harper’s Bazaar among others. Unlike other successful masters of the era including William Klein and Louis Faurer, Leiter did not differentiate much between his editorial assignments and personal work. 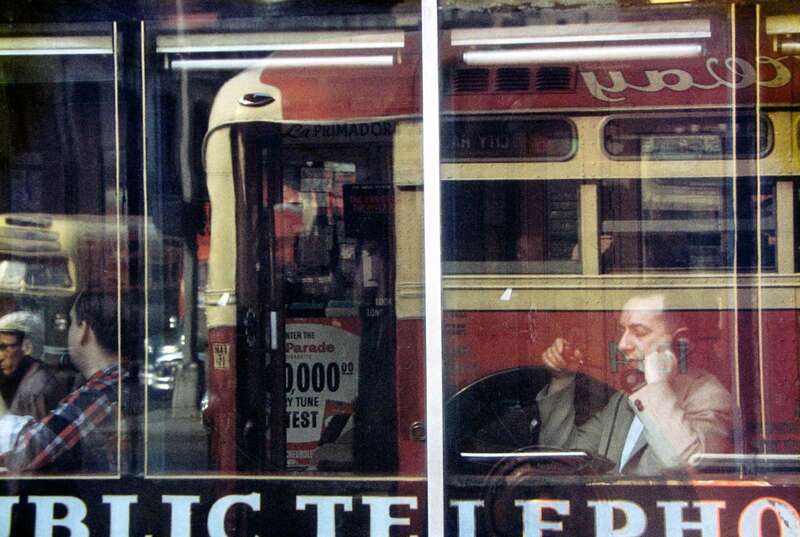 Edward Steichen showed Saul Leiter’s early black and white work at MoMA in 1953, and by 1957 has showed his color slide images in lectures at the Museum and elsewhere. He retained a foothold in the painter’s realm, showing his color work at Samuel Kootz Gallery. Included in many exhibitions on fashion photography, he has also had retrospective exhibitions at the Fondation Henri Cartier-Bresson and the Milwaukee Art Museum in recent years. He continues to live, paint and photograph in New York.